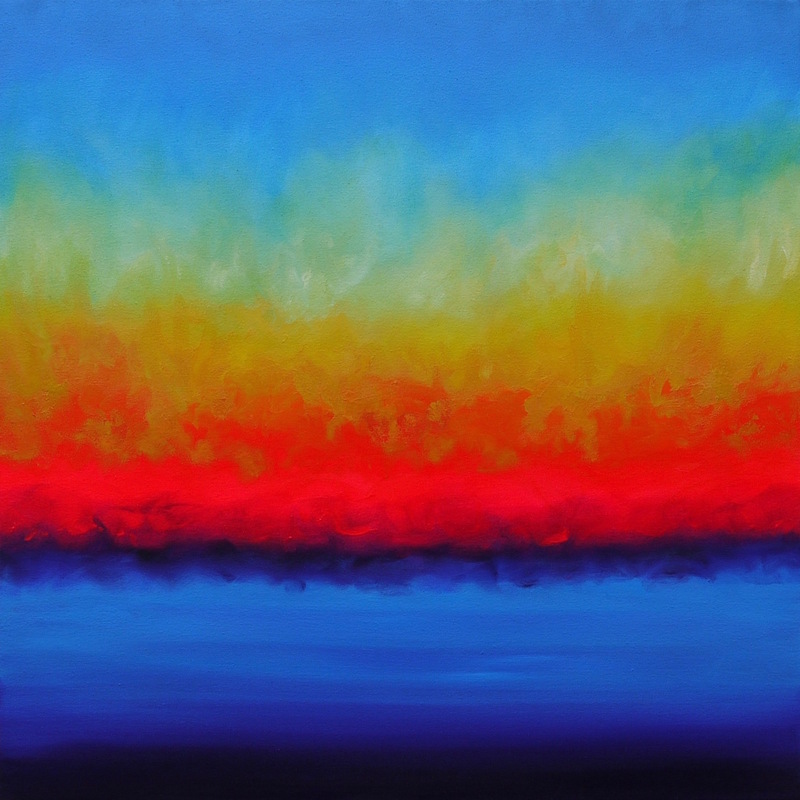 I am an abstract painter inspired by nature and music, particularly land, sea and space. I was recently invited to take part in an exhibition called “How the Universe Works” which started me thinking about the wonders of the cosmos which resulted in my space paintings inspired by colourful photographs of nebulas and galaxies. 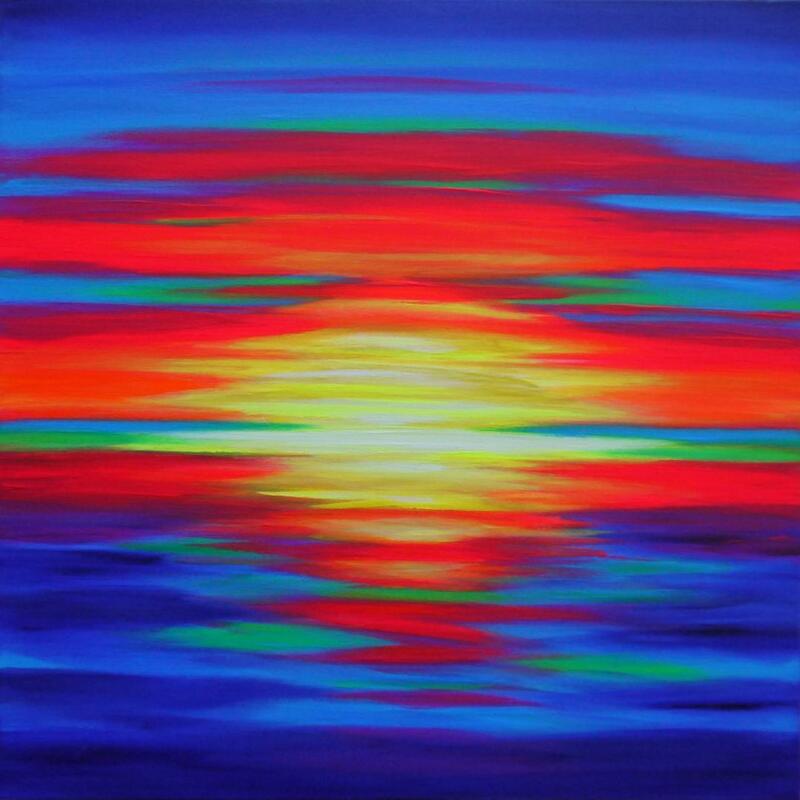 My latest paintings are abstract sunsets using colour to express light reflecting onto water. 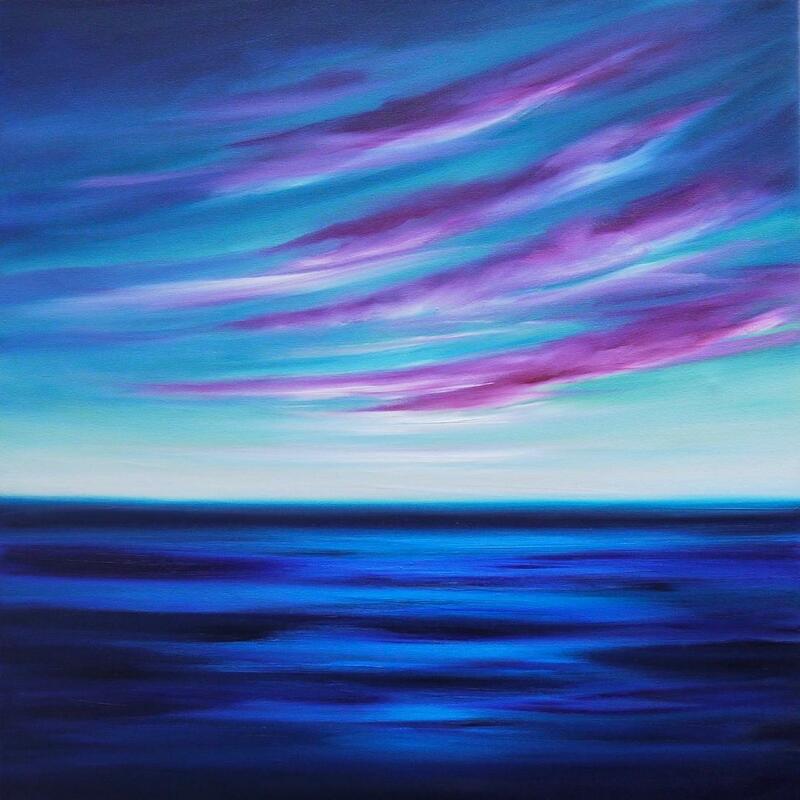 I always listen to music when painting and feel that this has a strong influence on the finished work. 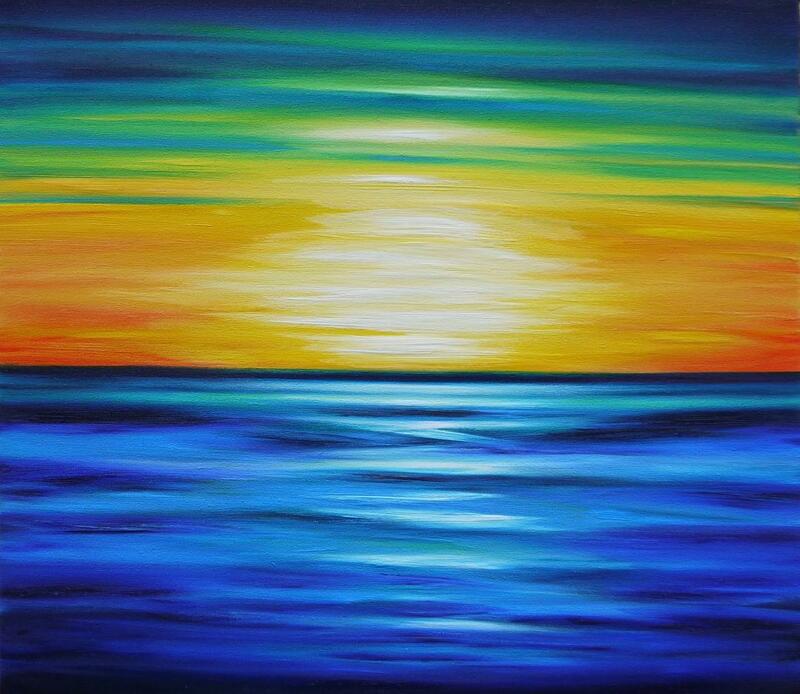 I’ve chosen song lyrics from Joni Mitchell, Neil Young, Crosby Stills & Nash, Bob Dylan, The Beatles, The Rolling Stones, The Kinks, Pink Floyd and David Bowie amongst others to title my paintings. 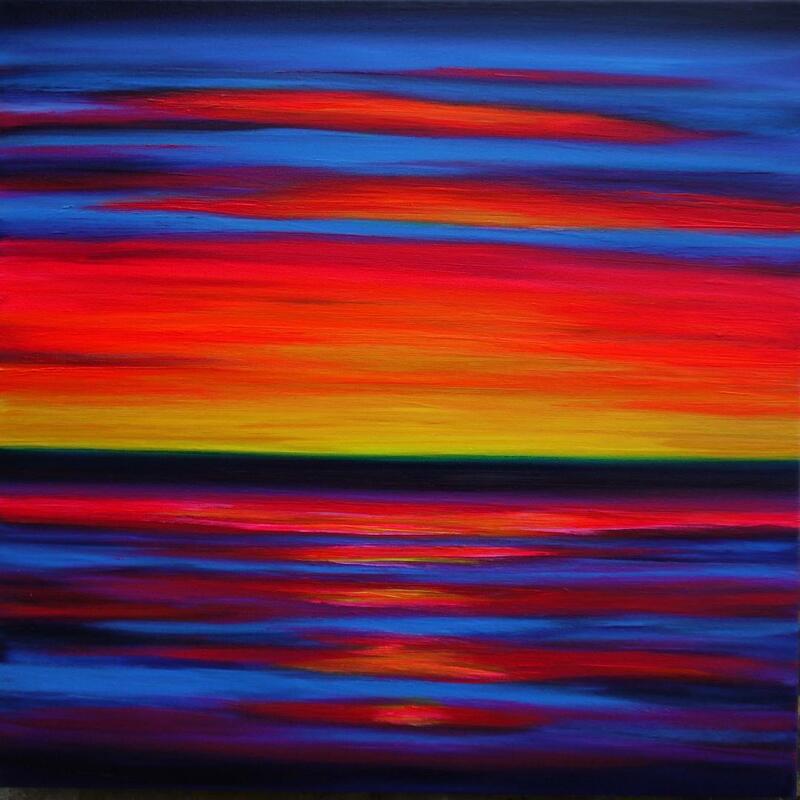 I feel that a snippet of a song lyric as a title gives the painting extra depth. Lyrics often jump out at me when I’m painting and seem to fit the artwork perfectly!